Don't miss the latest happenings out of Davos Klosters, including new lifts, terrain expansions, weather, photo galleries, infographics and current events skiers and mountain travelers should know about. 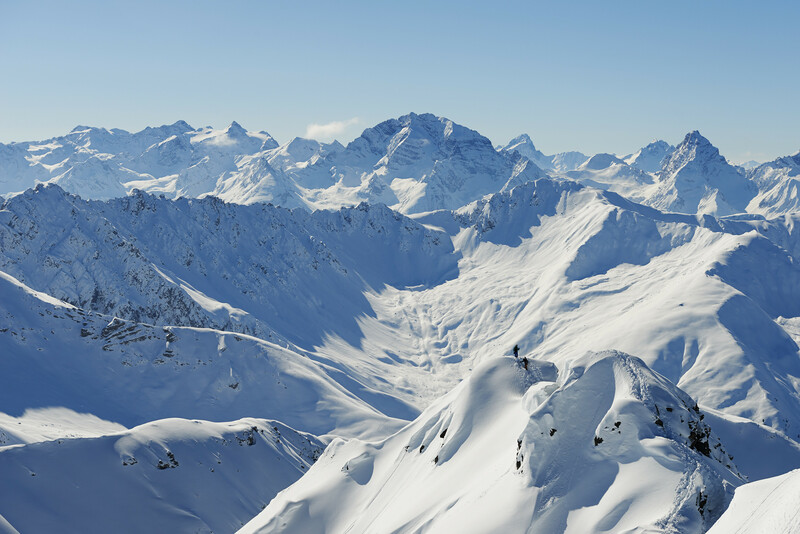 Stay up-to-date on Davos Klosters news and events by clicking on articles from the list below or page through to see coverage from the entire ski season. Find out where the most powerful politicians in the world go when they want to ski. The competition in Davos reached its climax with eight riders battling it out in the 6 Star World Snowboard Tour Big Air. Canadian contestants dominate at the O'Neill Evolution 2013 in Davos, Switzerland. Book your ski holiday in Davos Klosters and benefit from a free ski pass before Christmas. With its five high alpine palaces made of snow, the firm Igloo Village is entering its second decade with a major award under its belt. A private winter adventure in 1996 has evolved into a nationally acclaimed (Swiss Economic Award 2007) and successful business idea. Davos adds a cool night-sport experience this month with their new Ride the Night–4–Cross Games. These will be held during Friday night-skiing sessions on Parsenn, starting this week with Alpine and Telemark skier cross on 8 February. The O’Neill Evolution to be staged on the Jakobshorn in Davios on 05 – 10 January is living up to its name more than ever for 2009, with the 6-star TTR event evolving to push the boundaries of freestyle snowboarding in a way never seen before. Seb Toots and Jamie Anderson have taken victory in Davos at the O’Neill Evolution 2011 in a dramatic and sensational day of slopestyle finals. Local Davos hero Christian Haller and American halfpipe star Kelly Clark took top honours in the O’Neill Evolution Halfpipe at the finals in Davos. A recent survey of British holiday makers to Graubunden cited two main reasons for their choice – skiing and relaxation. The ski season at Davos Klosters starts very soon – on November 18th, and as a special gift the famous Swiss resort is offering a free lift pass to guests arriving up to December 23rd, 2011. An all new music festival launches in Klosters this winter with British superstars Duran Duran headlining the first ‘Altitude festival' this January. Davos in Switzerland and Ischgl in Austria, both of which opened last weekend, have both reported conditions are good. The O’Neill Evolution 2012 is gearing up to welcome the world's best freestyle snowboarders back to the Jakobshorn in Davos, Switzerland from January 2-7, 2012. Training for the 6th edition of the O’Neill Evolution has opened today in its traditional home resort of Davos, Switzerland. Bluebird conditions, 40cm’s of overnight snow, and a picture perfect Big Air and Rail set up welcomed the international snowboard world. Heavy snow arrived as forecast this morning at the TTR 6 Star O’Neill Evolution Big Air and Rail event in Davos, coinciding with the first round of Men’s Qualification. Get Snow Reports, Powder Alerts & Powder Forecasts from Davos Klosters straight to your inbox!